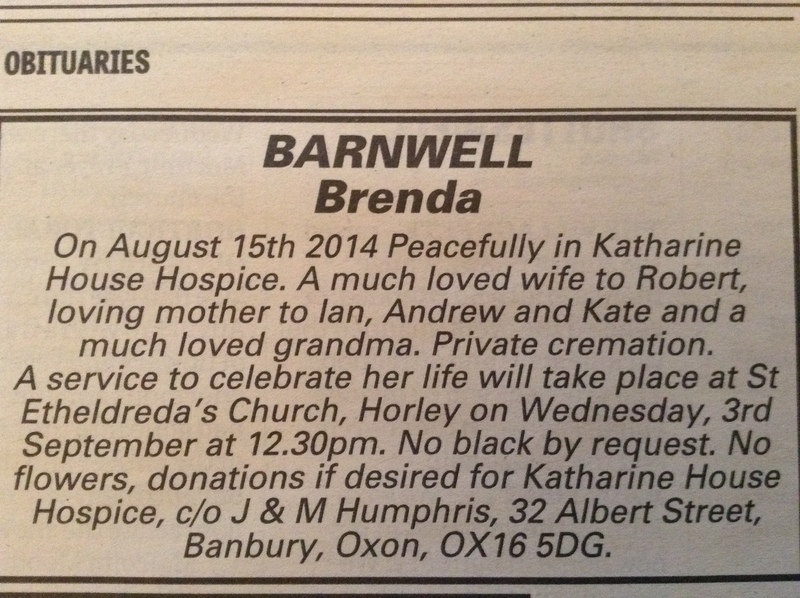 This obituary was in the Banbury Guardian on 21st August, informing everyone about the celebratory service for Brenda being held in our church St. Etheldreda’s at 12:30 on Wednesday 3rd September. It is requested that no one wears black, or buys flowers and if anyone wants to make a donation then please do so either via the funeral directors or directly to Katharine House Hospice. This entry was posted in Villagers and tagged Horley, St. Etheldreda’s Church on August 26, 2014 by thehorleyviews.